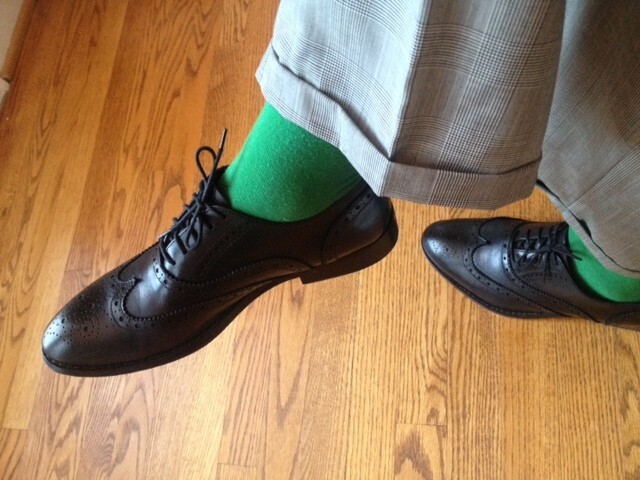 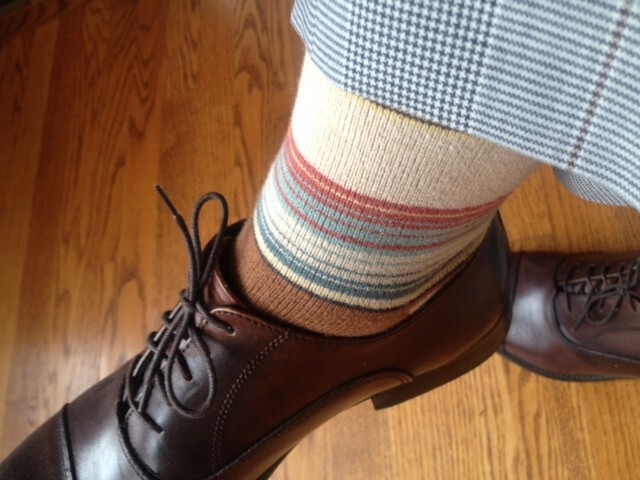 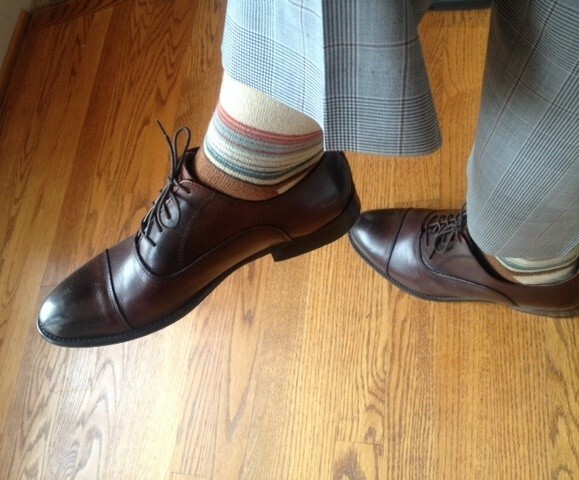 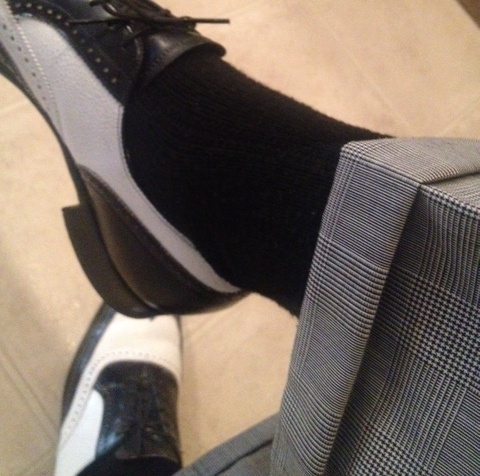 Kelly green dress socks by J.Crew. 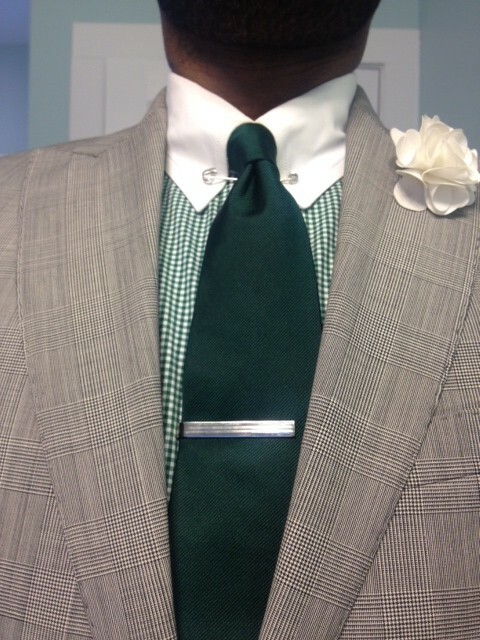 Green silk necktie by Ralph Lauren. 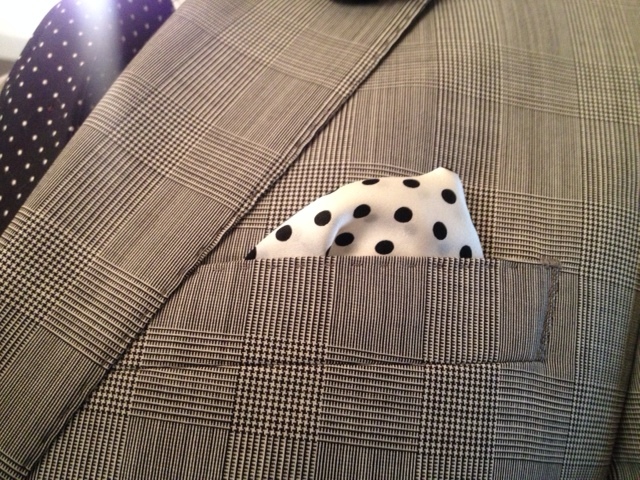 Green gingham dress with white contrast collar is by Banana Republic. 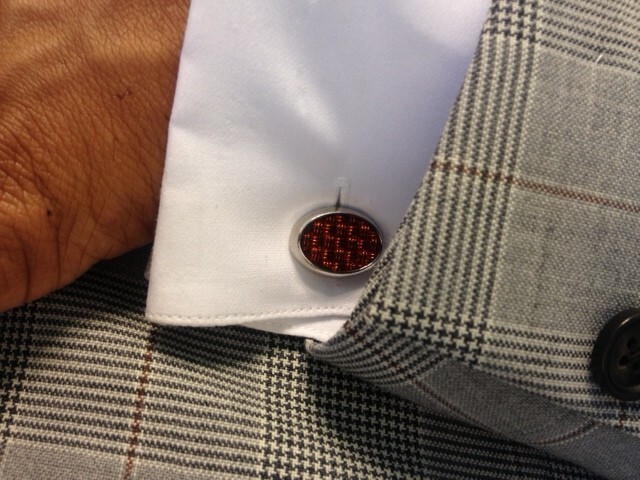 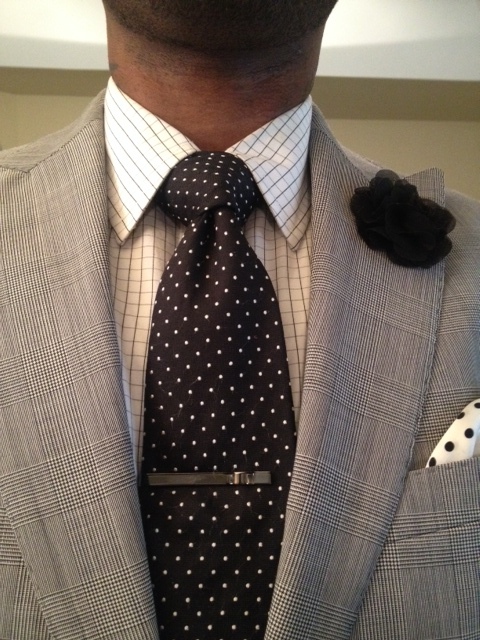 Collar pin is by Ralph Lauren. 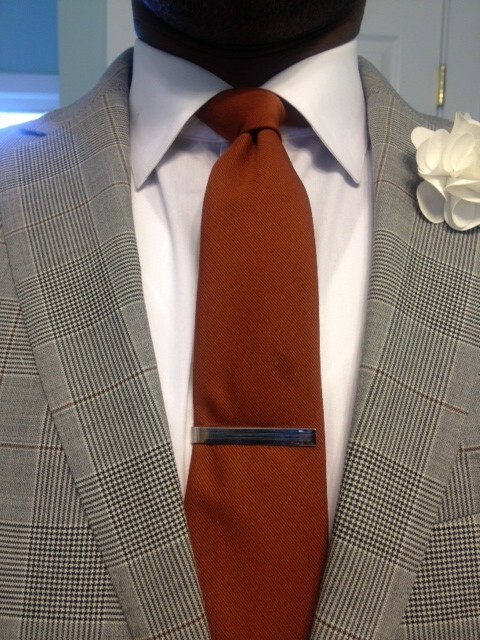 Tie bar is by Banana Republic. 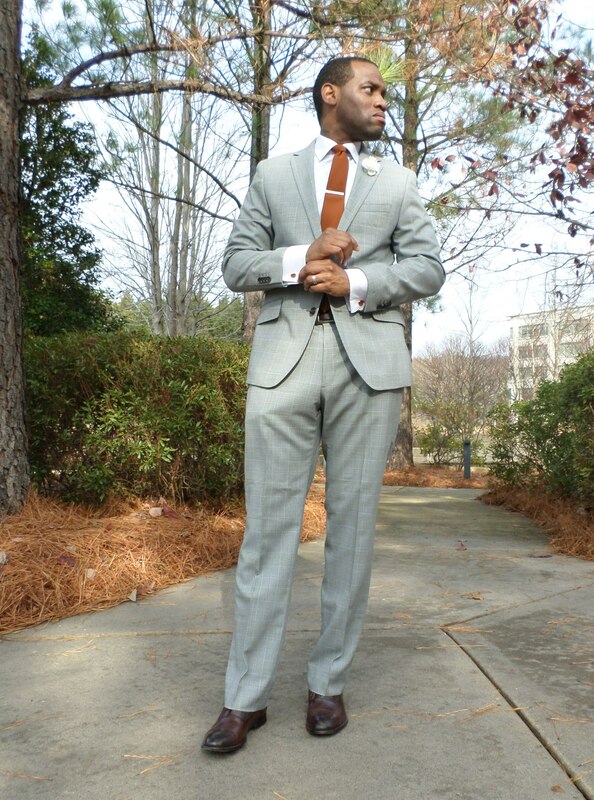 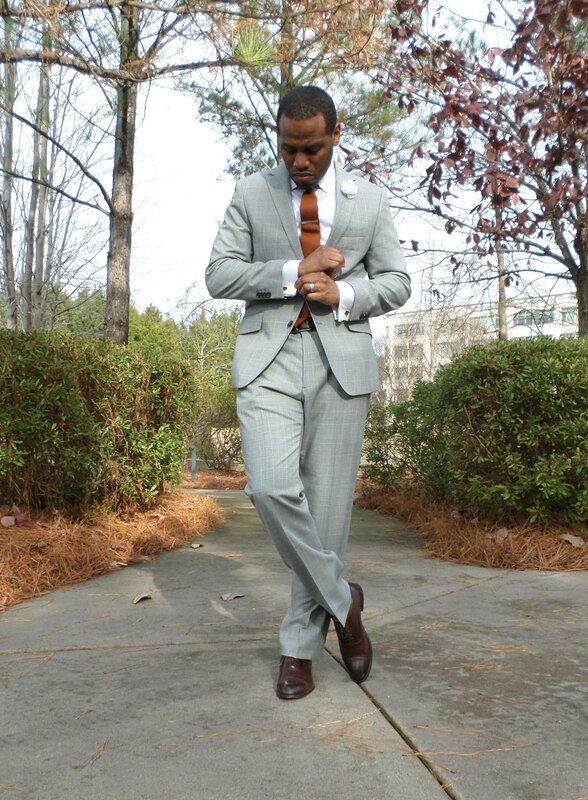 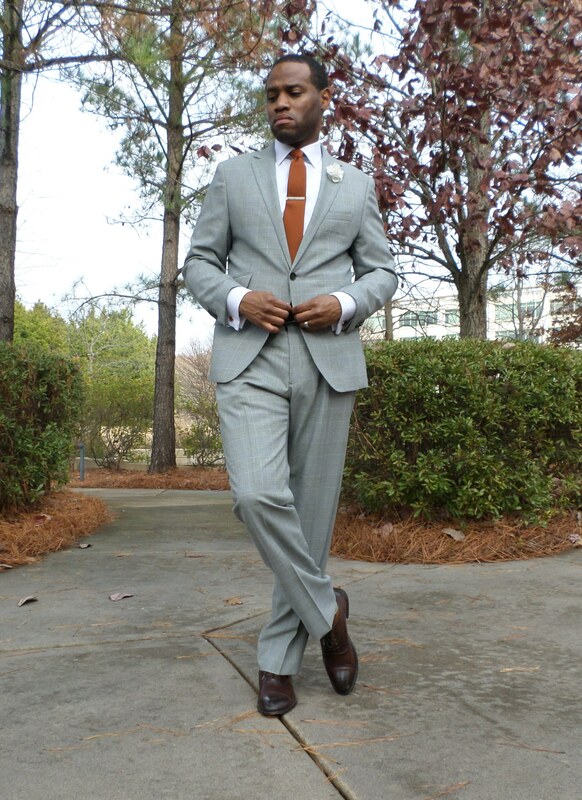 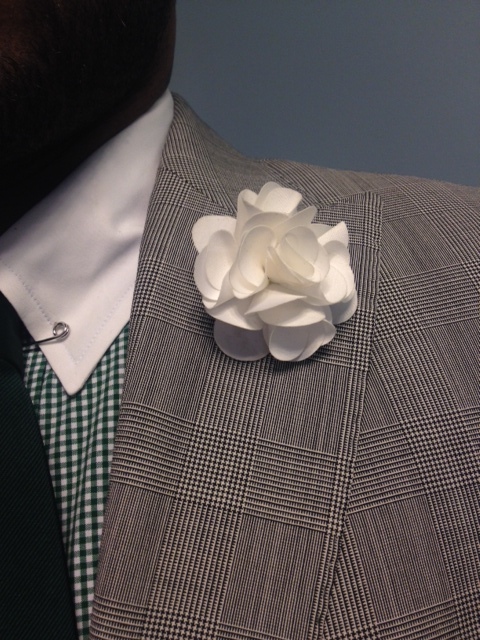 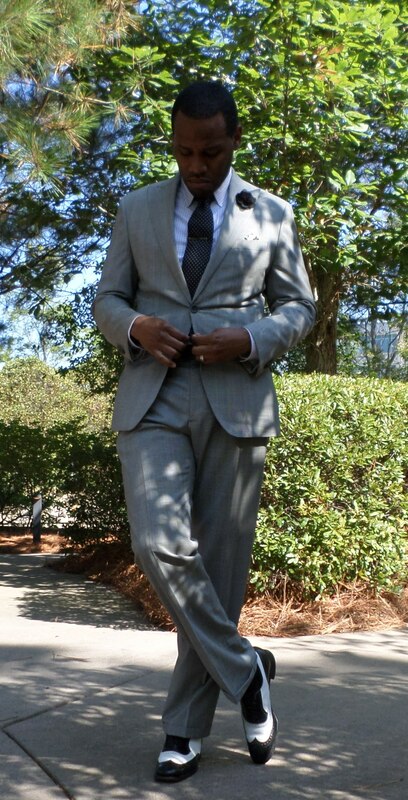 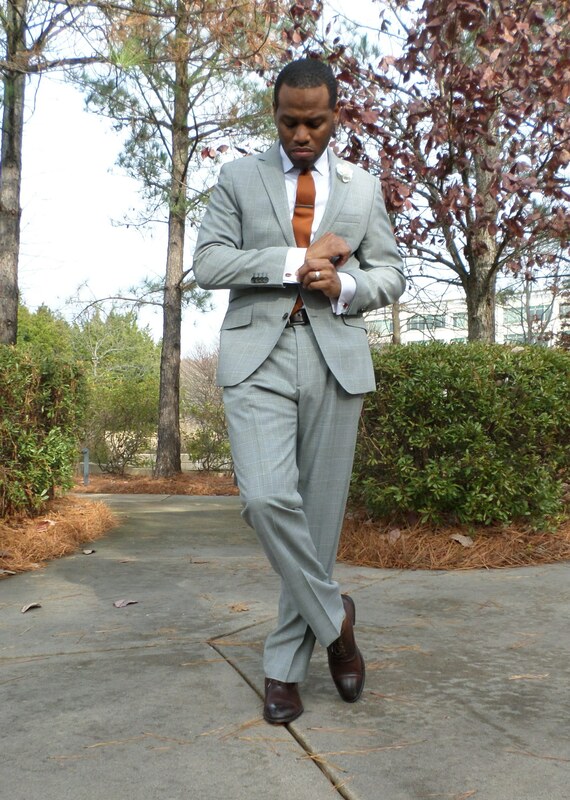 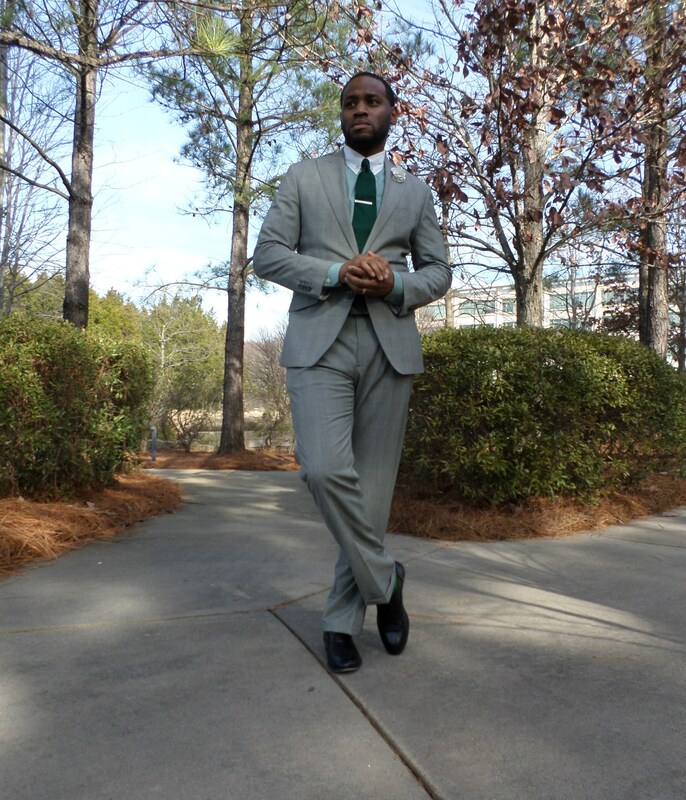 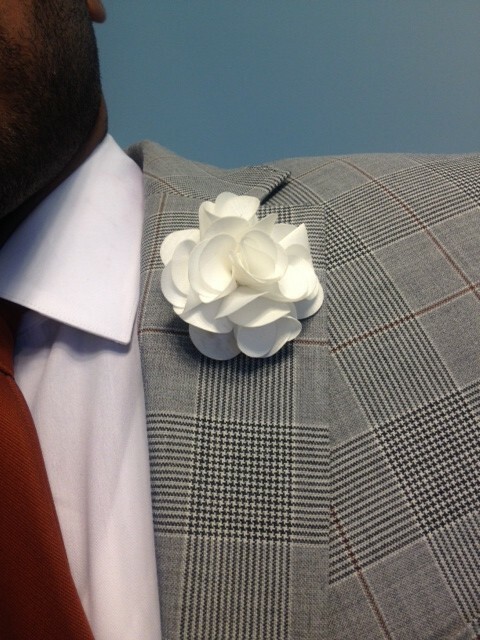 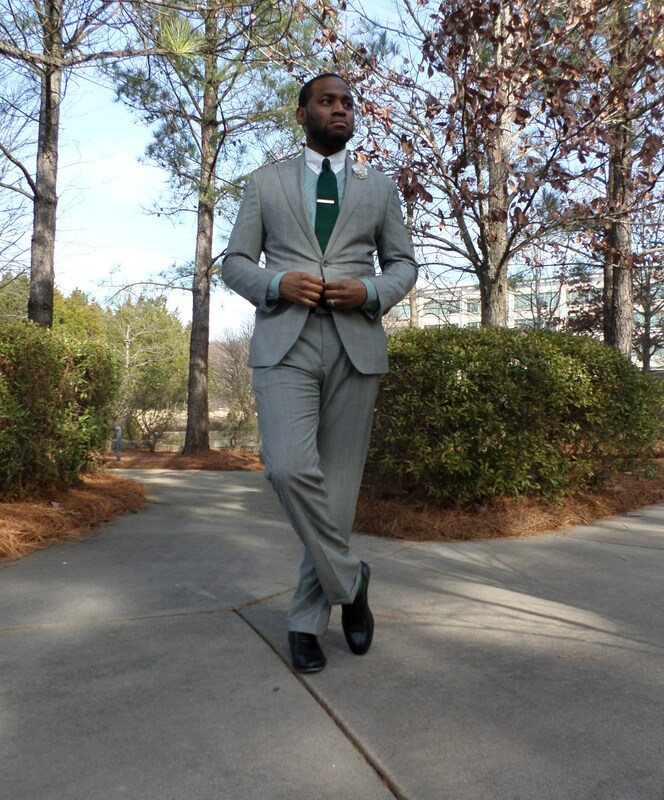 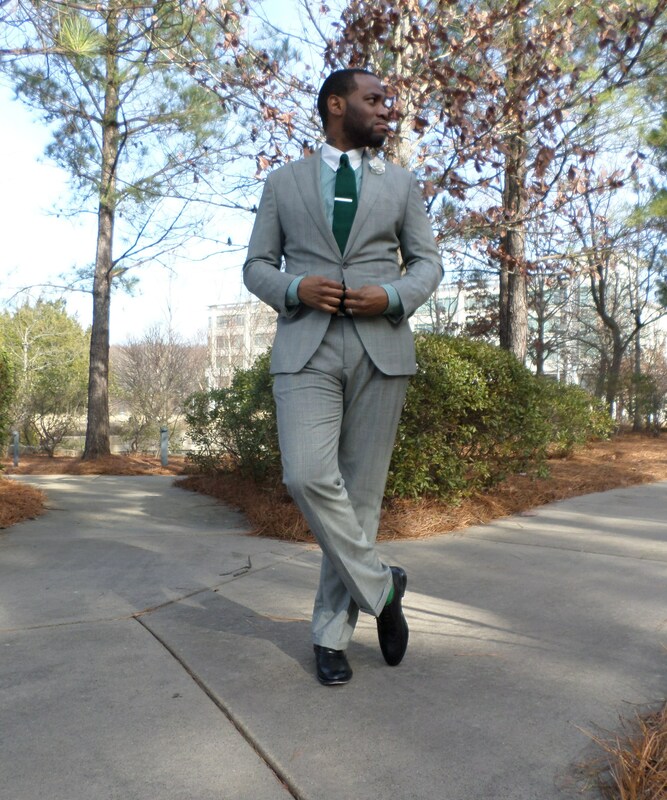 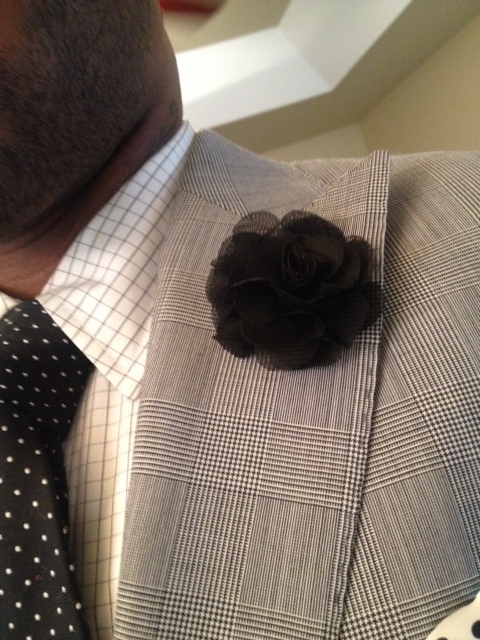 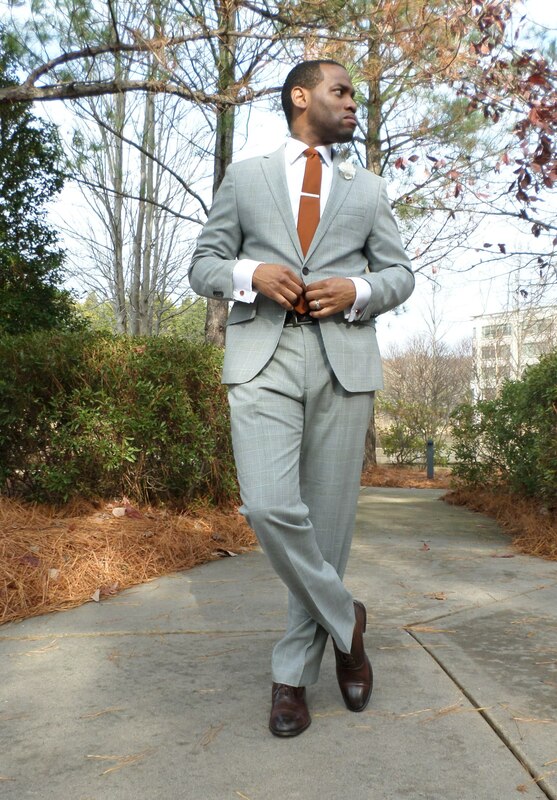 White flower lapel is from a boutique on the campus of UNC-Greensboro. 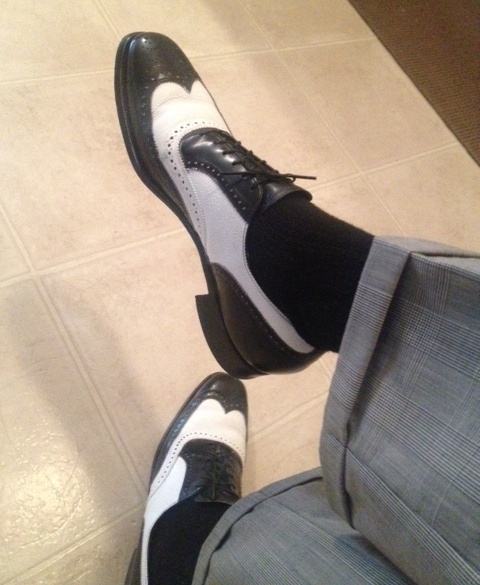 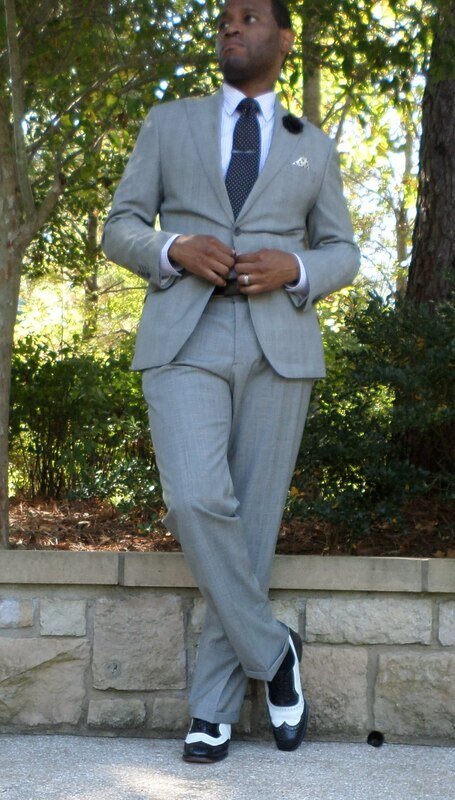 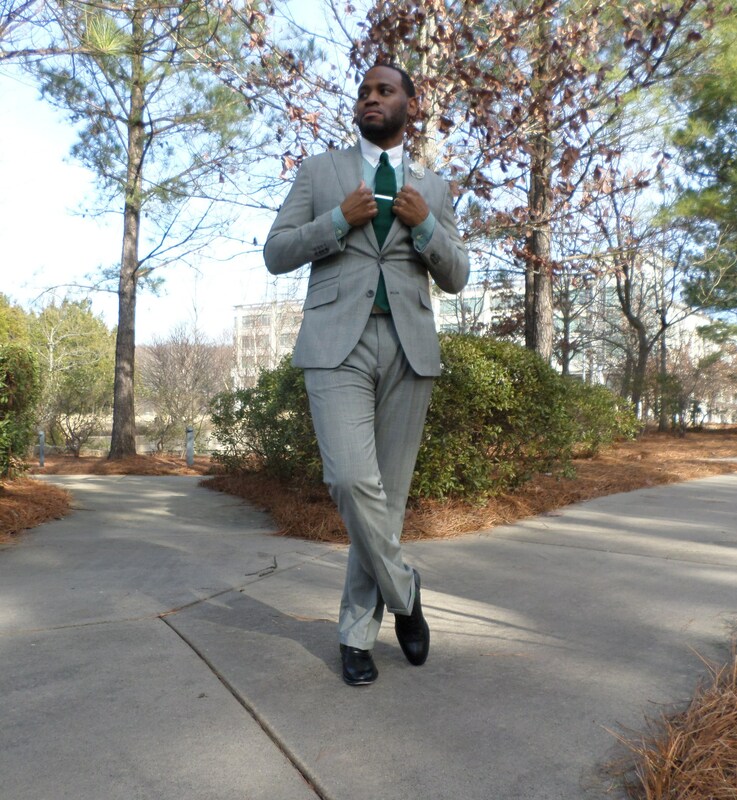 Glen plaid suit that features peak lapels, two button closure, side vents, slanted flap pockets, ticket pocket, and full interior lining is by Banana Republic.